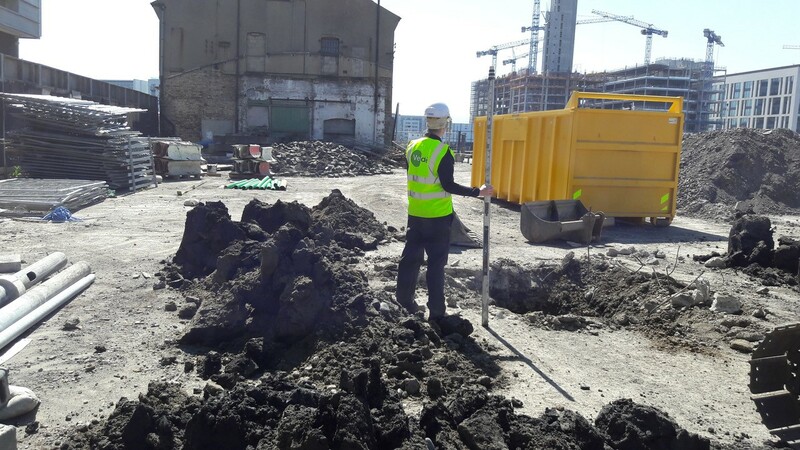 In the majority of construction projects there is generally a requirement to excavate soils, which in most cases are considered a waste under Irish waste legislation. As a result, careful consideration and assessment is required to classify the soils and to determine appropriate disposal and potential re-use options. Verde routinely assist design teams and contractors to manage soil disposal in accordance with the appropriate legislation and the ever changing disposal/treatment options. Verde undertake characterisation of soils as required by landfill regulations and undertake the necessary sampling to assess whether a waste is classified as hazardous or non-hazardous. Our specialists are trained in the use of the appropriate classification tools and have an in-depth knowledge of the relevant legislation and guidance, which allows them to guide clients in establishing cost effective and sustainable soil management solutions. Avail of Verde’s FREE Soil Waste Classification One Hour Seminar – a must for anybody involved in construction projects particularly where brownfield sites are being developed. Industrial Emissions Directive (IED) (2010/75/EU), which aims to ensure that the operation of an industrial installation does not lead to deterioration in the quality of the soil.